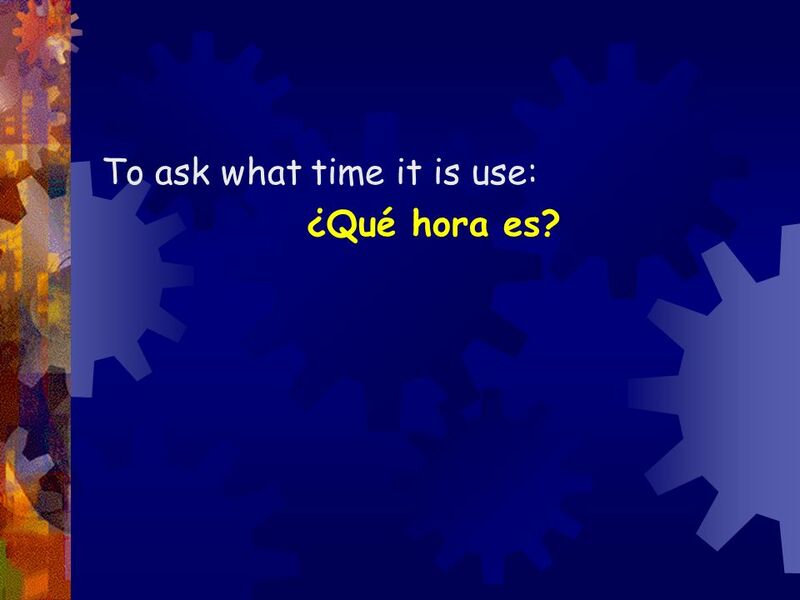 2 To ask what time it is use: ¿Qué hora es? 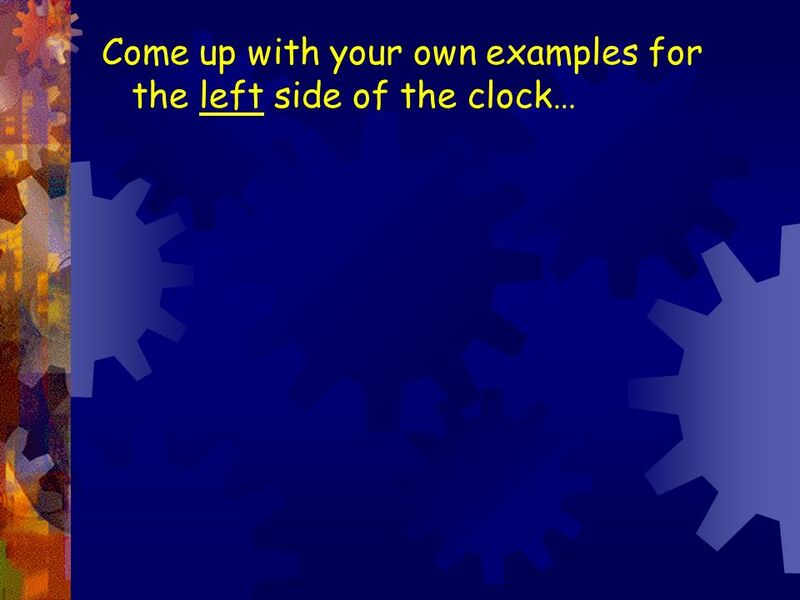 …divided in half (straight up and down). 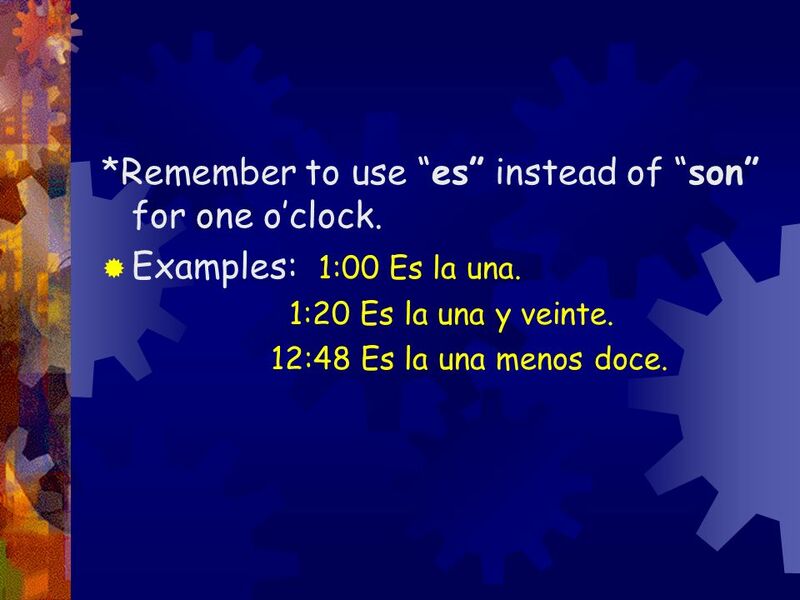 10 *Remember to use “es” instead of “son” for one o’clock. 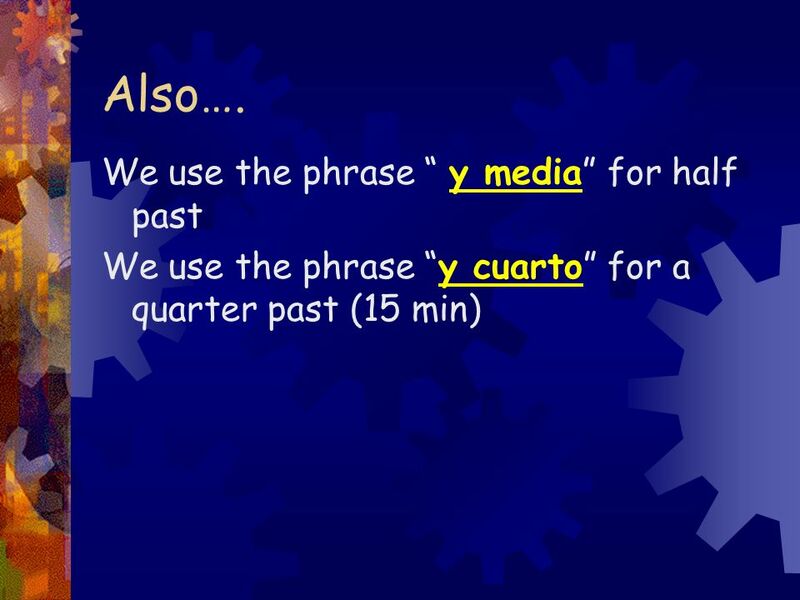 Examples: 1:00 Es la una. 1:20 Es la una y veinte. 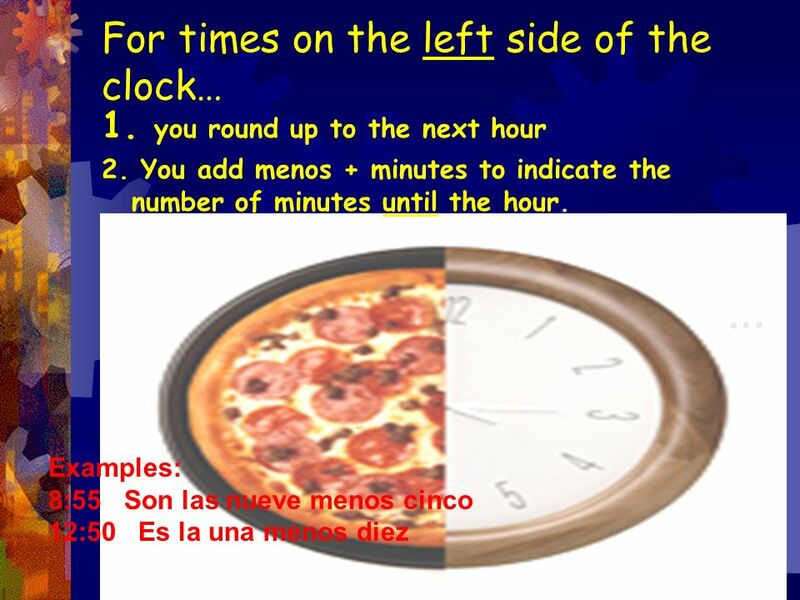 12:48 Es la una menos doce. 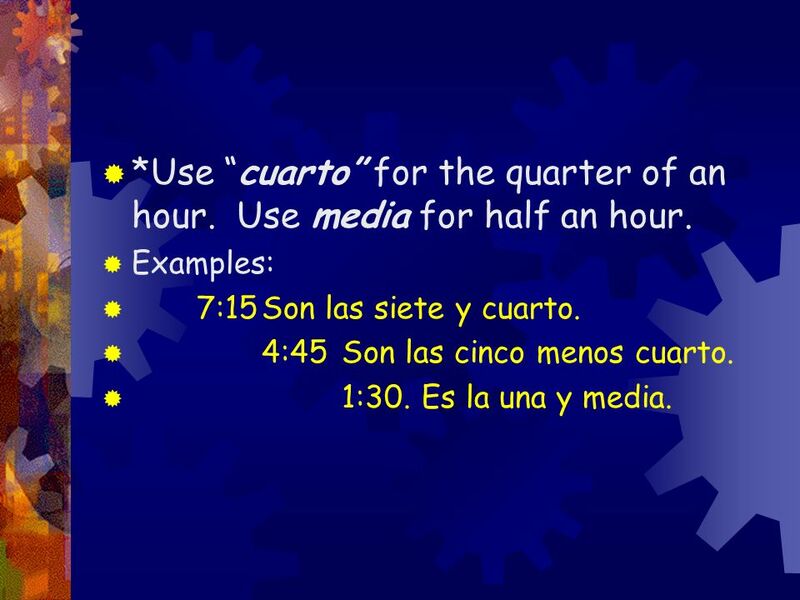 11 *Use “cuarto” for the quarter of an hour. 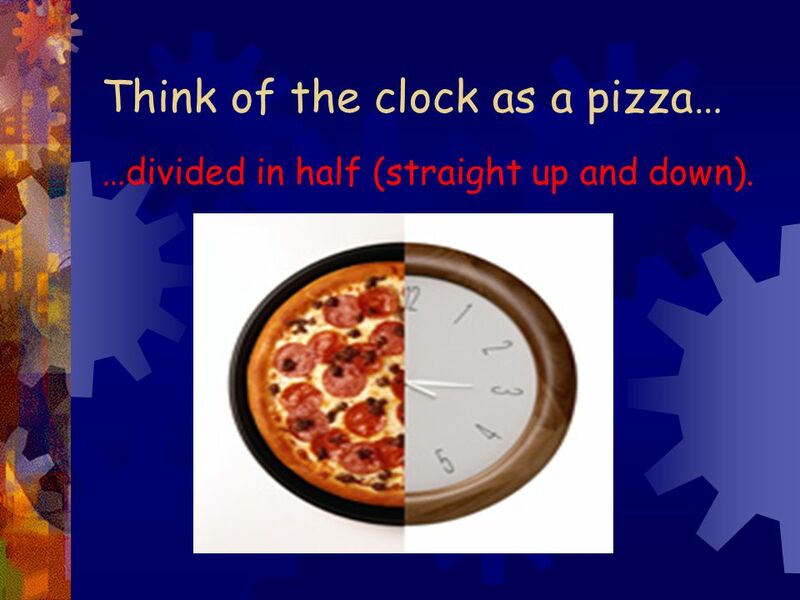 Use media for half an hour. 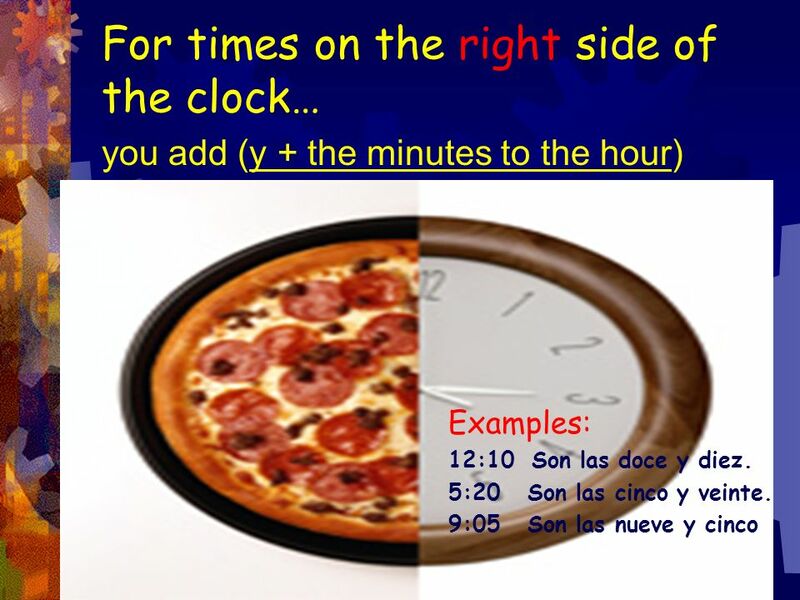 Examples: 7:15	Son las siete y cuarto. 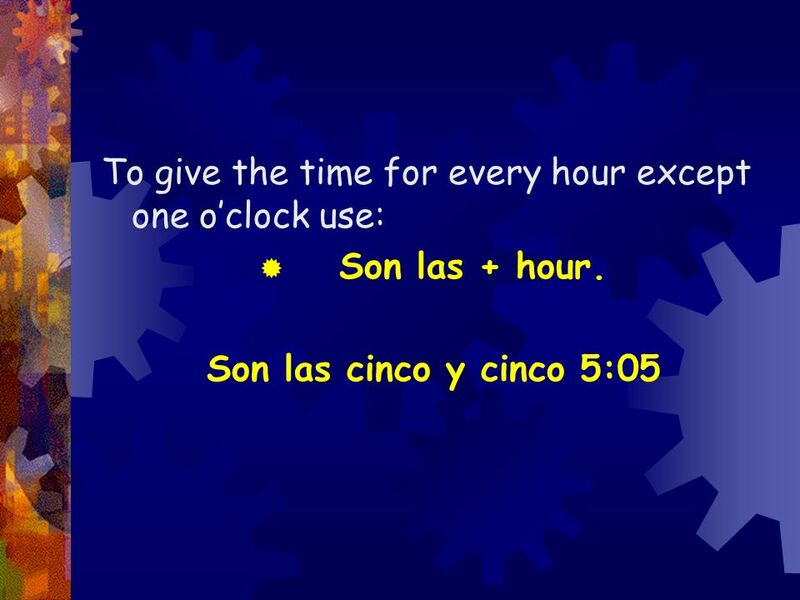 4:45	Son las cinco menos cuarto. 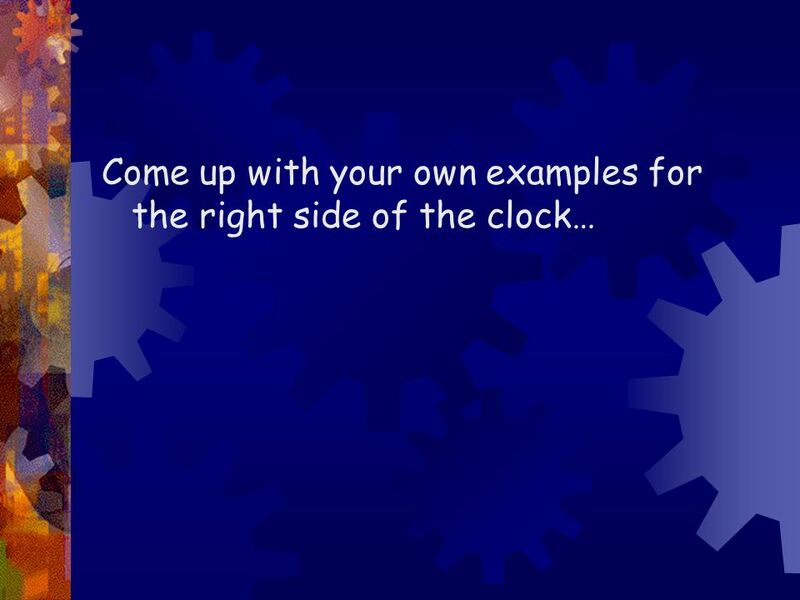 1:30. Es la una y media. 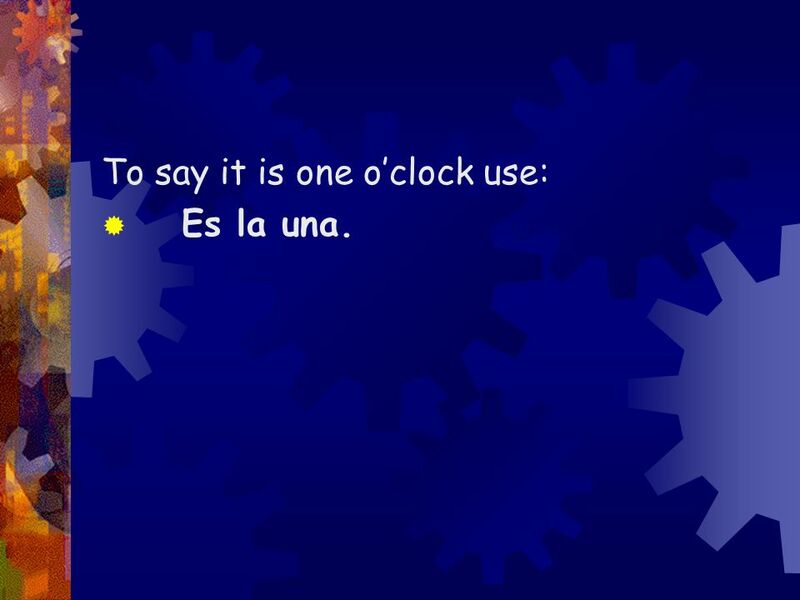 12 Also… **Use de la mañana for in the morning. 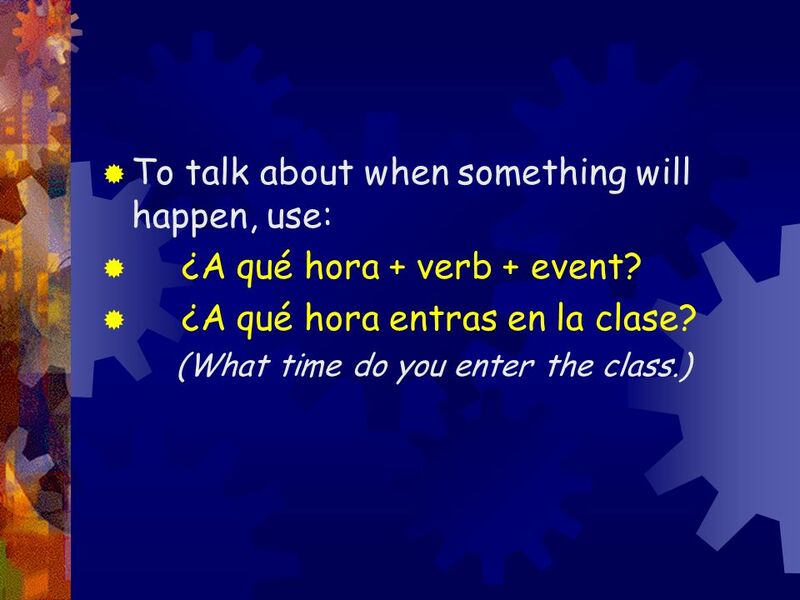 Use de la tarde for in the afternoon. 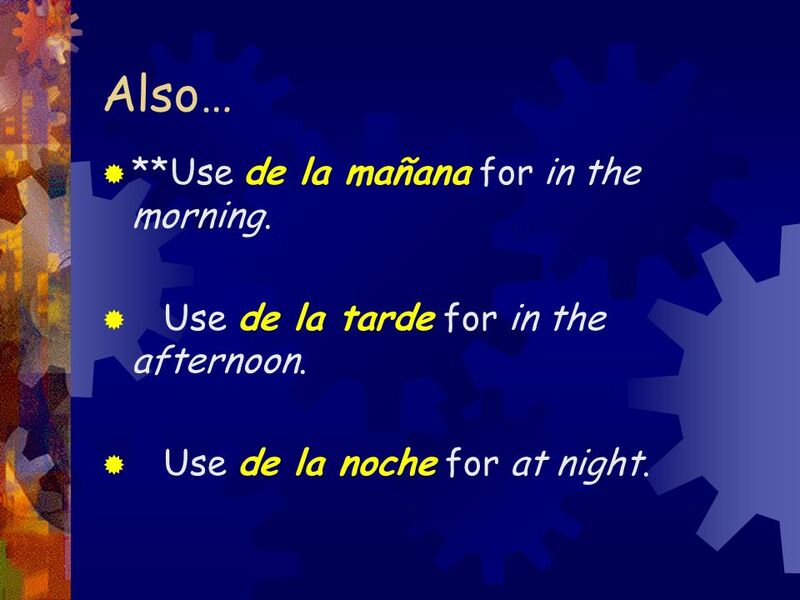 Use de la noche for at night. 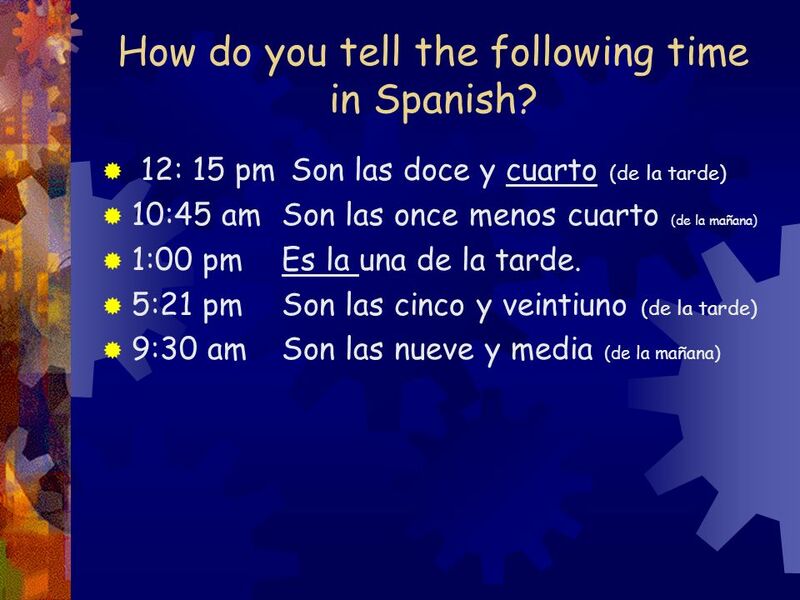 15 How do you tell the following time in Spanish? 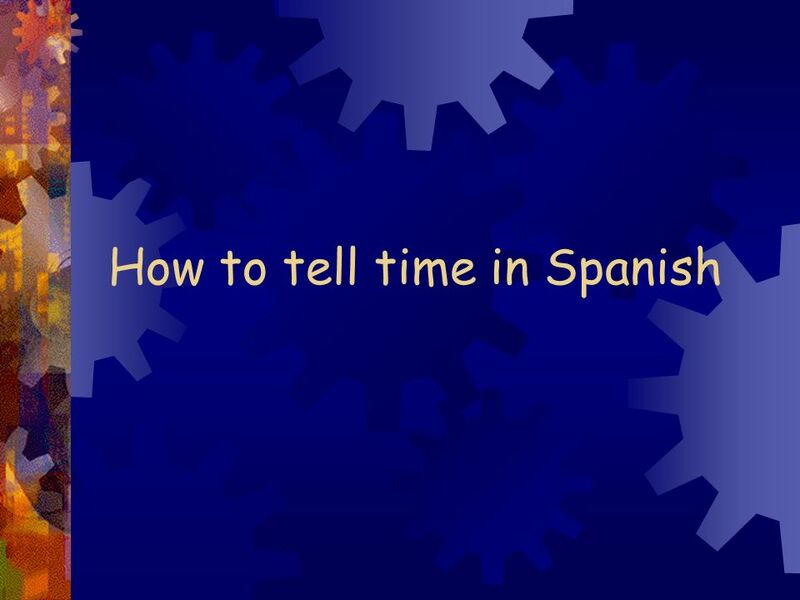 Descargar ppt "How to tell time in Spanish"